Recent Arrival! 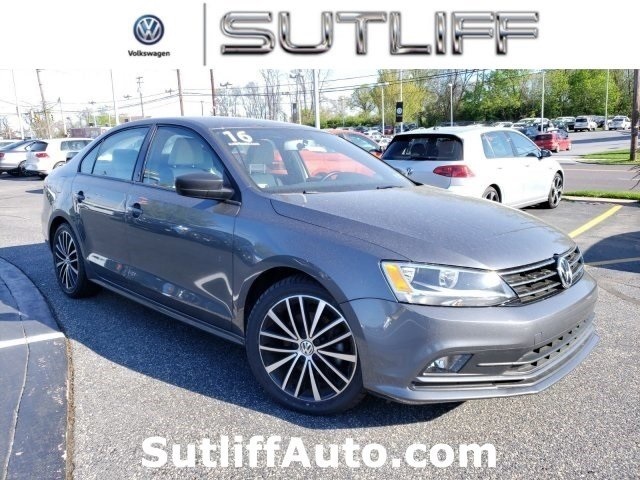 This 2016 Volkswagen Jetta 1.8T Sport in Platinum Gray Metallic features: 1.8L I4 Turbocharged 6-Speed Automatic with Tiptronic ** 2 YEAR 24,000 MILE VOLKSWAGEN CERTIFIED WARRANTY!! **, ONE OWNER WITH A CLEAN VEHICLE HISTORY REPORT!! !, REAR VIEW CAMERA!, APPLE CARPLAY ANDROID AUTO!, AUDIO JACK INPUT FOR MOBILE DEVICES!, SUNROOF!, ALLOY WHEELS!, PUSH BUTTON START!, Price includes discount for financing through VW Credit. See salesperson for details., NAVIGATION! !, 4-Wheel Disc Brakes, 6 Speaker Audio System, ABS brakes, AM/FM radio: SiriusXM, CD player, Dual front side impact airbags, Electronic Stability Control, Four wheel independent suspension, Front fog lights, Heated door mirrors, Heated front seats, Leather steering wheel, Overhead airbag, Power door mirrors, Remote keyless entry, Steering wheel mounted audio controls, Traction control, Trip computer, Variably intermittent wipers. FWD Certified. 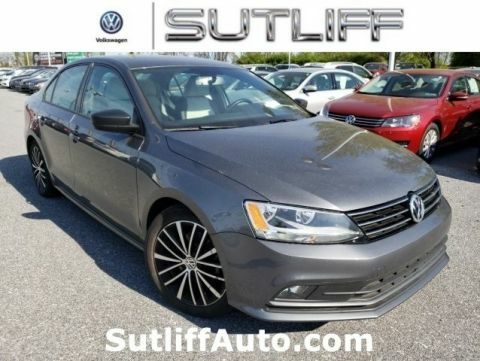 Volkswagen Certified Pre-Owned 2012-2017 Model Years Details:* 2 Years of 24-Hr Roadside Asst. Transferability See Dealer for Details* 100+ Point Inspection* Roadside Assistance* Limited Warranty: 24 Month/24,000 Mile beginning on the new certified purchase date or expiration of new car warranty expires (whichever occurs later)* Warranty Deductible: $50* Vehicle History25/36 City/Highway MPGSutliff Volkswagen is Pennsylvania's largest volume Volkswagen Certified Dealer! 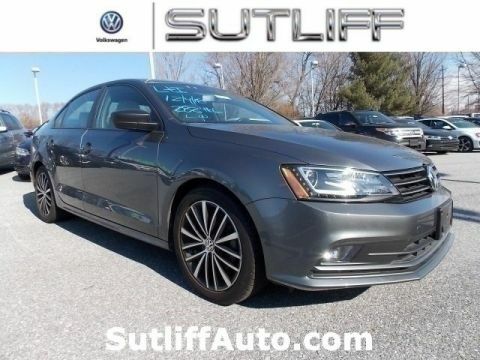 A Volkswagen Certified Pre-Owned means you not only get the reassurance of a FACTORY backed 2yr/24,000 mile Bumper-to-Bumper Limited Warranty, but also a 112-point inspection/reconditioning, 24/7 roadside assistance, and a complete CARFAX vehicle history report! On your Smart Phone? Click to call 800-210-8889 to confirm that this vehicle is still available! 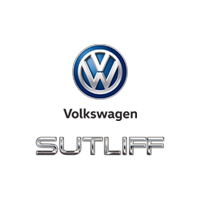 Highest quality and lowest prices are why you need to purchase at Sutliff Volkswagen.